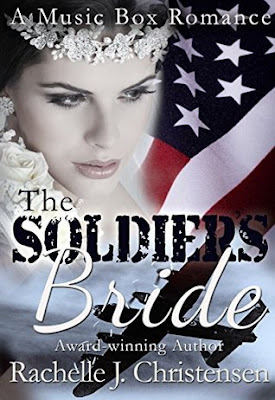 The Soldier's Bride is the touching and heartfelt story of normal people, all of whom are affected in some way or another by a music box that plays a seemingly magical theme that inspires them in different ways. When I first heard about this book through Kindle Scout, I loved the blurb and was intrigued. Then when I got the book to read, I jumped right in. This is one of those books that touch your heart and leave you mesmerized long after you have finished reading it. I laughed, cried and then prayed fervently for a happily-ever-after for the characters who soon became my friends and had me completely invested in their daily struggles. The narration is top class and the author managed to transport me to the 1940s with a war raging that had the lives of people thrown into chaos and a never ending pain of loss. I don't want to give away much about the book but this one is full of surprises and the beautiful way in which a simple music box changes the lives of strangers who despite being unknown to each other get connected with each other, had me smiling and then feeling impressed by the author who gave such depth to a seemingly simple story. All in all, The Soldier's Bride is nothing like our conventional romances. It is emotional, heartfelt and thoroughly entertaining that had me engaged throughout and then feeling sad when it ended. A book that I will want reread again and again, I give The Soldier's Bride 4.5 out of 5 and strongly recommend it to everyone. It's a must read! I enjoyed Rachelle's writing style and look forward to reading more from her in the future.